Guess what? You can also join the Roar Nigeria Family if you do not have a business idea yet. Lots of pecks if you become a Roar Volunteer. Remember, it is a symbiotic relationship. 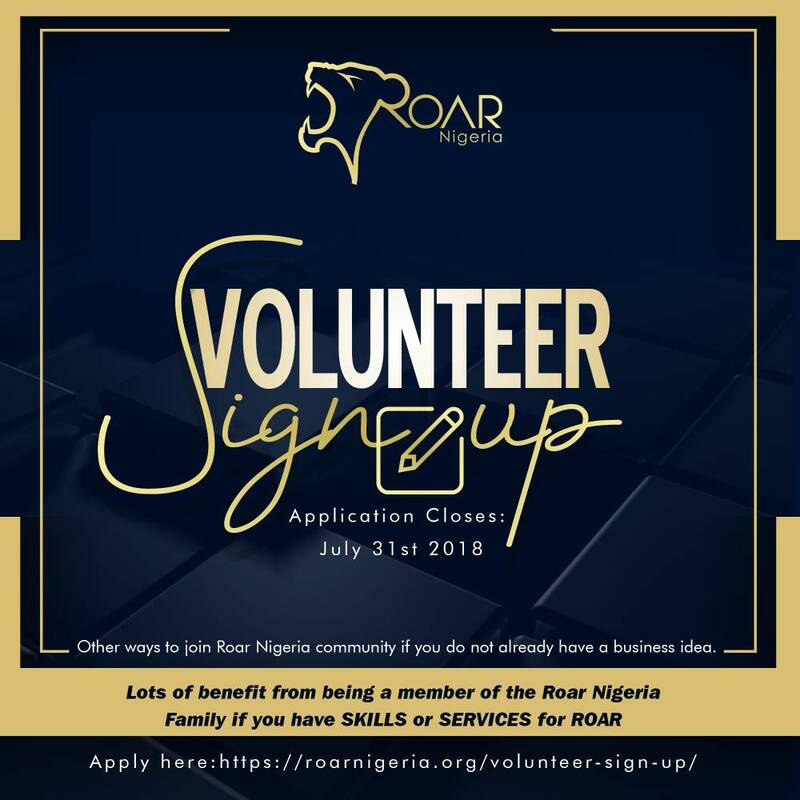 If you have a skill for Roar Nigeria, sign up today.